Last week was a hot mess, for lack of better words. Remy literally cried all day long for a week straight. So when I was asked to share my #FormulaforHappiness in partnership with Gerber® Good Start ® I figured this was the perfect opportunity! While I'm quite sure last week was a growth spurt situation, it made me think about what I can start doing to make things better for not only Remy but myself too. 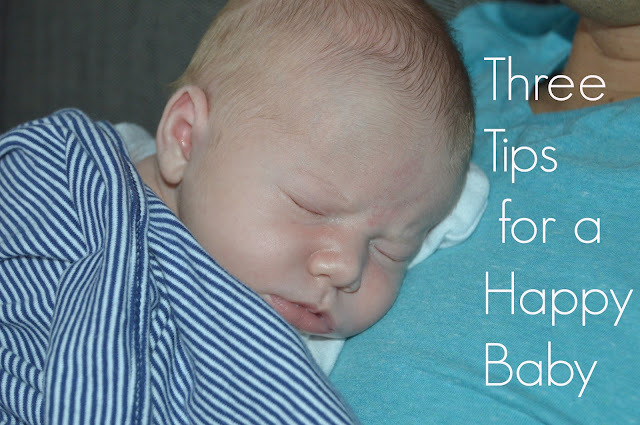 So here are my 3 tips for keeping a happy baby! We all crave a routine so it is no surprise your baby will too. I have started an eat-play-sleep routine with Remy this week and it has made a world of difference. When she wakes up, she eats. I then let her get some wake time either on a play mat, a swing, a bouncer or even on a blanket placed on the floor. Once she starts showing me some sleep cues such as crying or fussing, I swaddle her up and lay her down. It made for much happier days here lately. One of my favorite things to do is talk with Remy and watch her smile and coo back at me, especially right after she eats. I love to lay her on the Boppy pillow, talk to her and just take time to spend one-on-one with her, which is hard sometimes with two other littles. However you choose to feed your baby, whether it's breast milk or formula, give the nutrients you feel is best. Gerber® has decided to make all of their Good Start ® formulas without genetically engineered ingredients and can now offer moms a variety of non-GMO products for a variety of needs, including a base product, a supplement to breast milk or even those who need soy based formula. But what does GMO mean exactly? It refers to the fact that the ingredients used in the products do not come from crops grown with genetically engineered seeds. While formulas made without genetically engineered ingredients provide no addition nutritional benefits to your child, Gerber® was listening to what moms wanted. 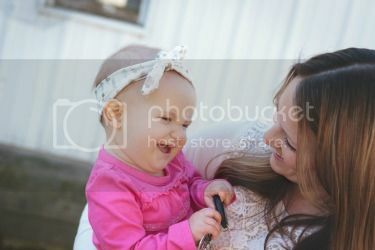 Gerber® wants to evolve their products to help ensure the happiness of both babies and their families. Let's be honest, each baby is different - trust me, I have learned this three times again! But in the end it is what makes both you and your baby happy that matters. What are your tips and tricks as well as your #formulaforhappiness when it comes to your baby?